Shanghai -- the solitaire tile-matching game many people think of when they hear "mahjongg" -- was actually devised by an American game designer in the mid-'80s. Of course, that hasn't hurt its popularity in Asia, with numerous variations produced by the once-venerable Sunsoft among other companies. 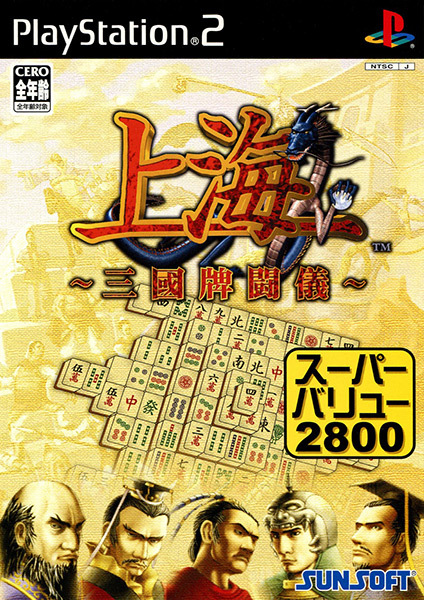 This version takes the game somewhere it never actually existed: ancient China. 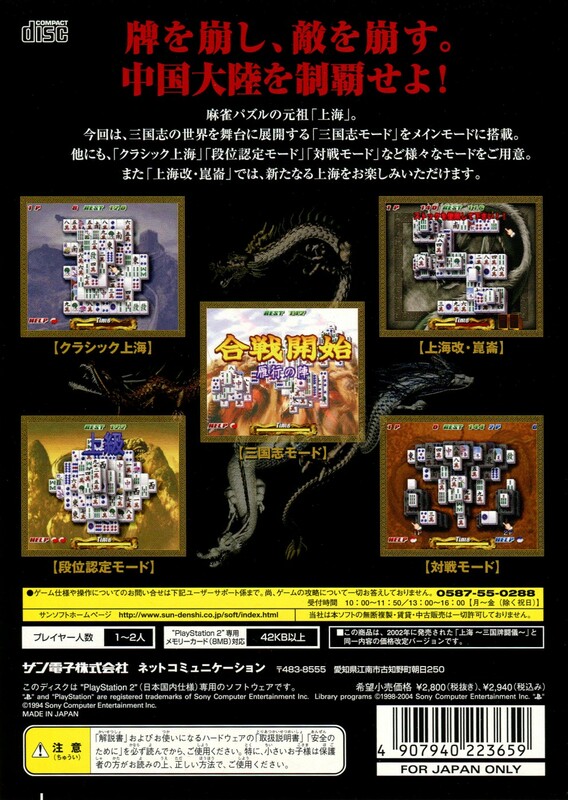 Essentially, it reimagines famous Three Kingdoms battles as tile-game matches. This was originally an arcade release on PS1-based hardware from a tiny developer; the upshot here is that the graphics are unimpressive and you've got a strict timer breathing down your neck the whole time. There's also a versus mode where two players work on the same puzzle simultaneously, trying to clear more tiles than their opponent. 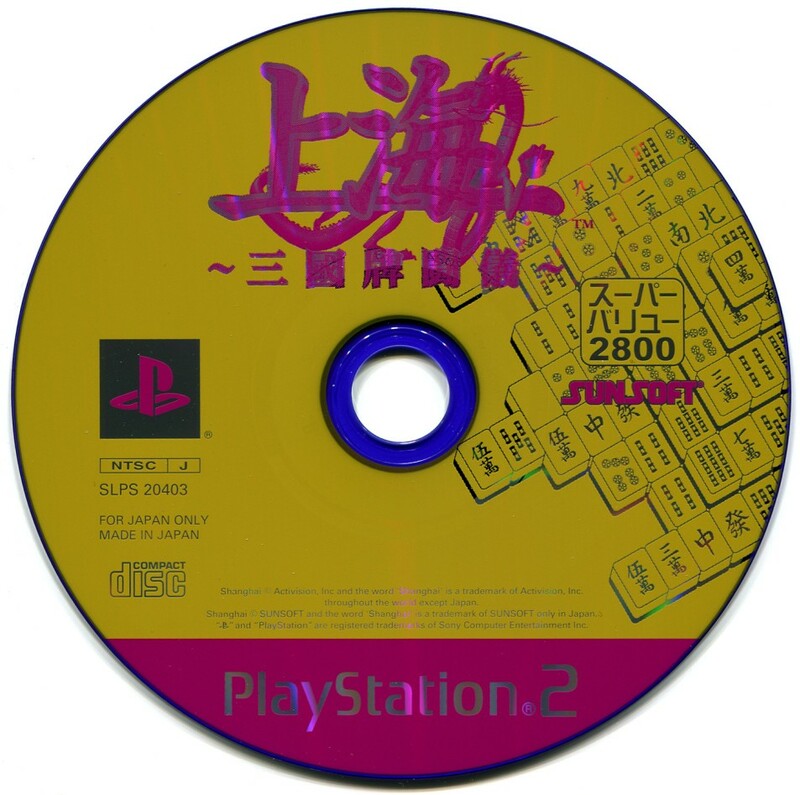 With two other Shanghai games on the PS2, even if you like the game this one is hardly essential -- Sunsoft's own earlier Shanghai Four Elements is widely considered the best of the three.